Because of scaling up and business development, our company relocated to the new premises on March 8, 2014. New site is in an elegant environment, facilities, and more convenient for providing better service to customers and partners. We really feel sorry if there is any inconvenience caused by the relocation, and sincerely hope you could understand! Various industry advanced enterprise were invited to participate in the symposium by Tianjin Municipal Government, to accelerate the implementation of Tianjin Enterprises Going Global’ strategy. The senior leadership and foreign trade manager of Tianjin Bell Automatic Instrument were invited. The sponsors of the forum were Ministry of Commerce of the People’s Republic of China, China Council for the Promotion of International Trade and Tianjin Municipal People’s Government. In the symposium, ASEAN member countries’ ambassadors and Europe representatives introduced his country’s investment environment and policies respectively. The leadership of Tianjin Bell listened attentively and was inspired deeply. They expressed that Tianjin Bell would respond positively to the call of the Chinese Commission of Commerce, live up to the great expectations of Tianjin Municipal Government and accelerate the development pace to the world, in order to make greater contributions to Tianjin economic development and let companies around the world understand and use good products in China. Depend on the reliable products performance and favorable price, Tianjin Bell Automatic Instrument Technology Co., Ltd. becomes the qualified suppliers of Citic heavy industry machinery Co., Ltd., our products used on their large mechanical equipment, and are sold abroad. Citic heavy industry machine Co., Ltd. is the largest mining machinery factory at present, export the world's top energy-saving environmental protection and energy saving representative products. At the early beginning of the republic, premier zhou enlai, liu shaoqi and other leaders had been to the factory for inspection. Currently, Vice-premier Li Kequiang inspected Citic heavy industry machine Co., Ltd. again, and convene ''The national energy saving Symposium''. On the 18th Multinational Instrument Exhibition, Tianjin BELL take the newest series of products “Field-bus & intelligent actuators and control valves” to show on Shanghai Everbright Convention and Exhibition Center together. Multinational Instrument Exhibition is the most large-scale exhibition in this industry. There have nearly ten thousand of professional spectators attended. Many top managers from Tianjin Bell present on the spot, and gave detailed description about the product's advancement, reliability, and technical performance. 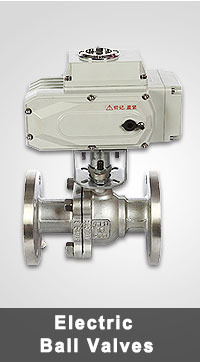 Since the company started researching field-bus & intelligent actuator from 1999, the product has been upgraded twice. Bell’s newest products on this exhibition have been also shown on Shanghai international power plant & power station equipment and desulfurization technology exhibition, and other Exhibitions this year. 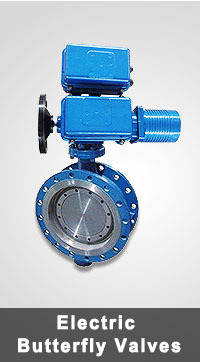 It marks the intelligent actuator products has been reached maturity. 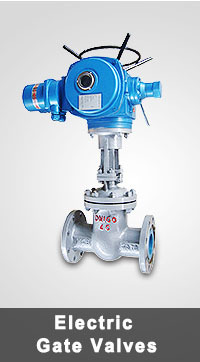 Tianjin BELL Company has taken a significant step again in leading the new industrial trend. HaiBoWan power plant is the Subordinate industry company of China Huaneng Group. It is contracted by domestic senior design engineering company, completed from design, procurement, Construction to debug operation turnkey model project. The installed capacity for this project is 126 thousand KW, to ensure the project quality, the tenderee choose the most powerful China enterprise for competitive bidding. After several rounds of technology defense and comprehensive evaluation, Tianjin Bell exceeded CHONGQING CHUANYI AUTOMATION and TIANJIN AUTOMATIC INSTRUMENT NO.7 FACTORY CHINA at absolute superiority scores. Eventually win out, gain the order. 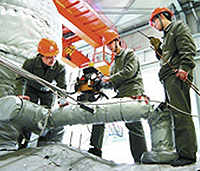 According to orders requirements, Tianjin Bell from the production, supply, commissioning, operation, until technical support, all of the work in order, always highlight the company's technical strength and excellent service, Tianjin Bell received affirmative by the user and the contractor again. Close to the end of 2007, this is awarded again by users and complete business agent during the numerous supply projects from Tianjin Bell. At the time of changing company name, our website updated and upgraded accordingly, we promote to be professional and service, gives a fresh feeling. The revision is more prominent company image and strength, to rich web content, to strengthen communication with the user. Especially, the 'product management 'column is to show of business advantage, and the 'technical support 'column is intended to popularize knowledge and improve professional. We will create authoritative and professional brand and to become the industry of flagship site. 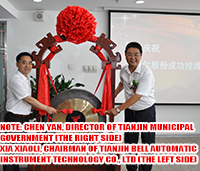 Tianjin Bell automatic instrument factory changes the name is Tianjin Bell Automatic Instrument Technology Co., Ltd., recently the grand unveiling ceremony had been hold. The precursor of Tianjin Bell Automatic Instrument Factory is a company belongs to Tianjin University, which had been experienced the planned economy period，reform initial period and Market economy period vicissitude and consistently, always kept the rigorous work style. The enterprise develops unceasingly in the process of innovation. Today, we have had more honors. 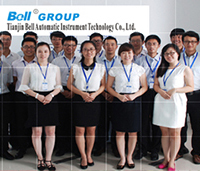 As electric actuator and electric control valve production enterprise, Tianjin Bell automatic instrument Limited company had been already the most professional manufacturer. The event of changing company name is supported strongly by Tianjin industrial and commercial bureau, Tianjin science committee, and Tianjin chamber of commerce. 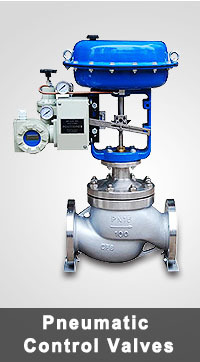 China Bell Automatic Group is the leader of automatic industry, specialized in manufacturing automatic products and equipments, owns many world advanced technology and many manufacturing factories and many famous brands.Tianjin Bell Automatic Instrument Technology Co., Ltd is the subordinate company of China Bell Automatic Group, has forty years manufacturing and technical experience, is the most professional manufacturer in various control valves, actuators and instruments. Bell Automatic has got the ISO quality certificate, EU CE certificate, various quality certificates and many certificates of honor issued by Chinese government. Our company is listed successfully on the stock exchange on June 30th, 2016. Bell products are sold to all the provinces of China, and exported to Southeast Asia, South America and Europe& US and other countries. Many China and world big power plants, Iron & steel and building materials companies are Bell longterm users, such as Tianjin State Power No.1 Thermal Power Plant, Haibowan Power Plant, Beijing Capital Iron& Steel Group, Maanshan Steel Group and lucky Cement Group. Bell Automatic also provides service to all the automatic control industries, such as metallurgy, chemical engineering and mine.